Even the simplest of trade show booths require a significant amount of planning, from choosing the location of the booth to planning what type of signage will be best suited for the show. From planning out what to bring to how to showcase it, this can become a full-time job for one employee, or add significant part-time duties to several employees' job descriptions. This article is intended to take some of the confusion out of trade show planning by detailing some of the basic steps and items you'll need to create a great trade show booth. What is a trade show booth? First, let's briefly discuss what a trade show booth is, exactly. A trade show is defined by Entrepreneur.com as "An exhibition for companies in a specific industry to showcase and demonstrate their new products and services." Trade shows take place in all sorts of places and all sorts of settings, from exhibit halls to hotel lobbies to even outdoor settings. The way in which companies are organized within the trade show is by booths, which are set up in a mapped-out, finite space. Booths may be set up to some degree: there may be walls dividing spaces, or tents set up. However, it is ultimately the vendor's responsibility to decorate the booth and fill it with their products or ad materials detailing their services. Before the show: buying a booth. You don't just show up at a trade show and rent a booth; you reserve it in advance. For those who have never purchased a trade show booth space, or if you've purchased booths before but may need a little help in the future, these are some important things to consider about your booth in a trade show. How much is the booth? This may seem like an obvious question, but it can be trickier than it sounds. Inquire not only about the cost of the booth, but about any added expenses that you may be responsible for, including electricity, wifi, or lighting. What seems like a great booth rate may become a lot more of an investment when you start tacking on these extras. What are the measurements of the booth? A 12x12 foot space will require much different signage and fixtures than a 5x5 foot space or a 20x20 foot space. It's very important to know the size of the booth before you pursue a trade show. Physically, where is the booth? Is it near the entrance, or is it tucked away by the restrooms? Be sure to ask the organizers to see a map of the show floor, and where your booth would be located. What exhibitors have already reserved? Ask about who has already reserved space, and where they will be. You don't want to be right next to a similar business to you, as you will add unnecessary competition to the mix. 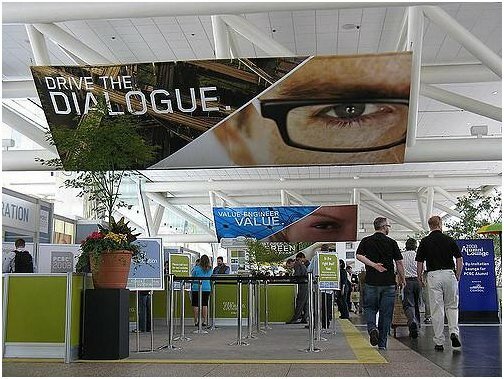 What is the trade show's setting? Is the trade show in a large expo center, or in a sunny outdoor park, where you will need a tent? 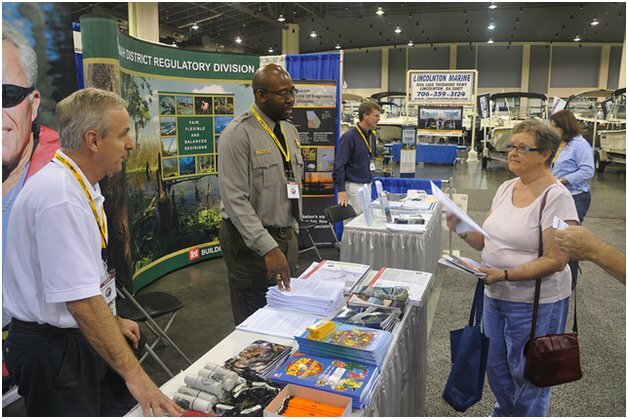 Knowing what environmental restrictions may be in place can help you plan your booth. What is the show's anticipated traffic? 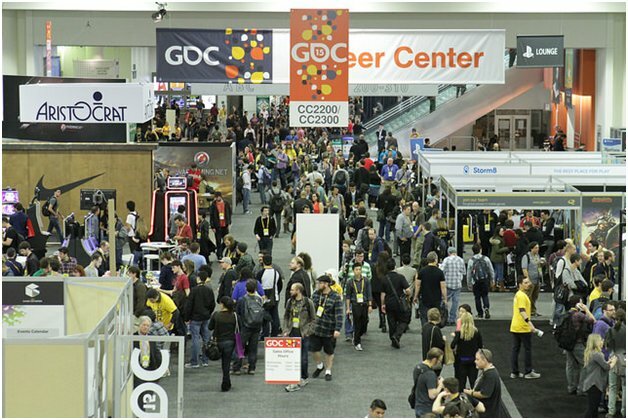 Unless it is a brand new trade show, the organizers should have some data to share about the show's traffic in previous years, including how many people attended, and some demographic information. This can help you decide if the show is right for you, and to help plan how you showcase your wares. Once you've booked your booth, the real work begins. While every business's needs at a trade show will differ slightly, this is a great starting list of items to bring. Adjust based on your needs. Whether it's a modular shelving unit or a simple black wall, you'll need some sort of a backdrop or walls for your booth. This is not only to divide it from the booths next to you, but also to create a canvas upon which you can display signage or materials. Displays can be as simple as a shelf or table to showcase your products or literature, or as advanced as banner stands and inflatable furniture. The size of your booth and style of the show can help you decide what types of displays are right for you. You'll need signage for your booth. This will help customers identify who you are, and also to draw customers in from the aisles. Use bright, upbeat, well designed and quality printed signage. If your company makes a product or products, you'll need samples to show customers. You probably don't need one of everything, but a good variety plus images of any other items are helpful. This won't be as necessary for a business that offers services, but photos and literature on the services will be necessary. Trade show swag can be a powerful marketing tool. Swag can be any number of trinkets or office items branded with your company info that can help customers remember you after the trade show. 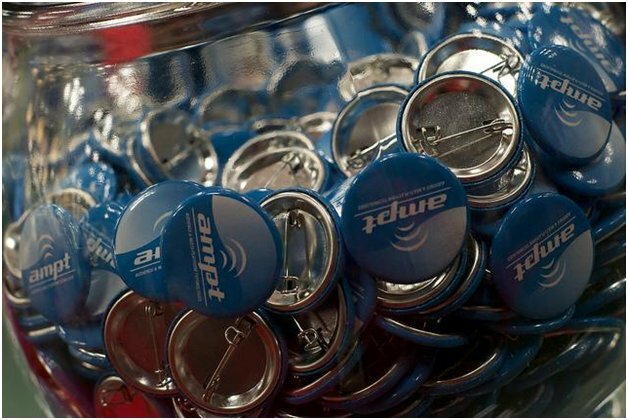 Check out our guide to trade show swag. You'll need employees to be working in the booth. Be sure to have plenty of able bodies on hand so that they can work in shifts and that everyone gets fair lunch and bathroom breaks, and that there are enough people to help multiple potential clients. Bring plenty of pens, paper, order forms, and clipboards. These can be obtained locally, but it's easier to bring your own. Bring more than you think you need, as particularly pens seem to disappear. From business cards to brochures, be sure to bring a lot of ad materials so that people can remember your business and why they should work with you. While not necessary in all cases, if you have a large booth or anticipate consulting or taking time consuming orders, it is nice to offer a table and chairs for your customers. Be sure to bring plenty of water. A trade show can be demanding, physically, and you don't want employees getting dehydrated. Conclusion: Even a simple trade show booth requires a lot of thought and planning. The sooner you begin planning, the less stressful the process can be, allowing for a functional, well-stocked booth. A planned booth will streamline the process, allowing you the time and energy to be free to promote your business at the show. Have you ever planned a trade show booth?